XIV, 477 p., 9 ill., 18,5 x 25,5 cm. 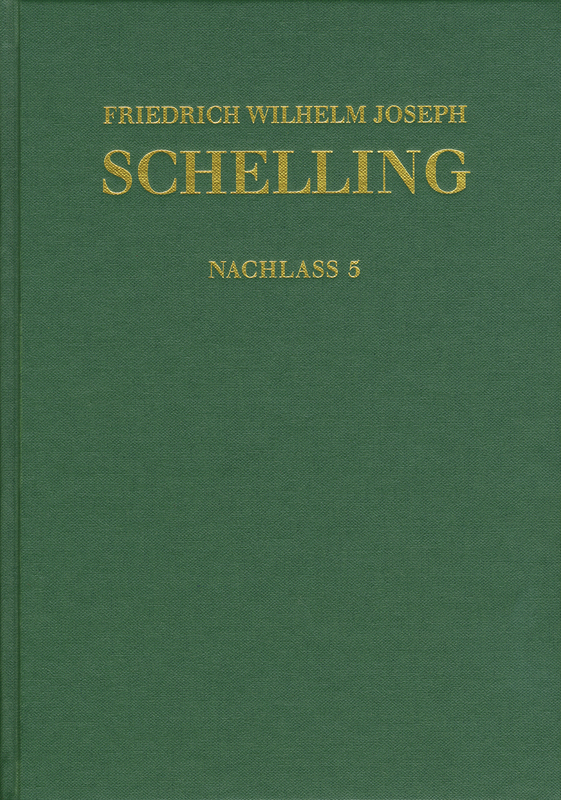 In the notes and works contained in volume 5, Schelling emerges as an independent philosopher for the first time in discussing Marcion and Gnosis as well as Platonic philosophy in particular. This applies especially to his commentary on Plato’s ›Timaeus‹ and ›Philebus‹, in which Schelling develops a basic systematic relationship between Plato and Kant for his own philosophical thinking, thus rejecting the contemporary depiction of Plato. The volume contains editorial reports, annotations, indexes and a bibliography.